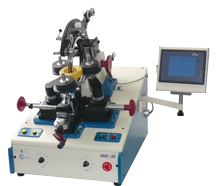 Our years of dedication have produced the most advanced and user-friendly toroidal winding machines, capable of the satisfying the simplest to the most difficult applications. 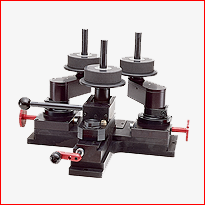 Jovil Universal also has unique solutions for irregular coils applications. 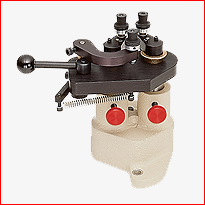 Stock readily available and immediate shipping to US, UK, Europe, China and Asia-pacific. 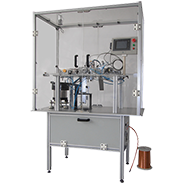 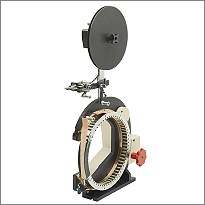 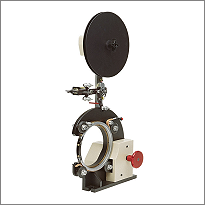 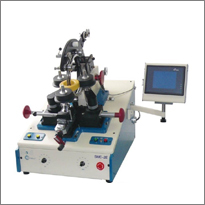 Our Toroidal winding machines are easy to operate and handle. 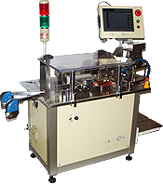 They are micro-processor controlled and programmed with runtime software that makes your work easier. 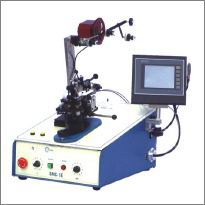 With the capabilities of the Automatic Toroidal Winding Machine it can greatly reduce the labor cost. 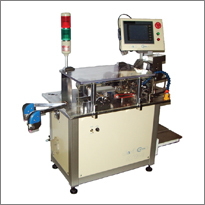 A single operator can be task to handle 2 to 3 such machines at any one time. 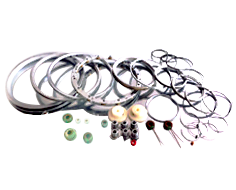 Our winding heads have various size and selection customized to meet different requirements for the coil size (OD, ID, and HT) & wire size. 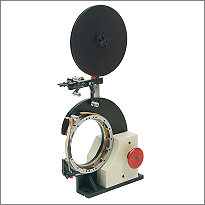 There might have difficulties for an automatic toroidal winding machine having to wind heavy wire size through small core inside diameters. 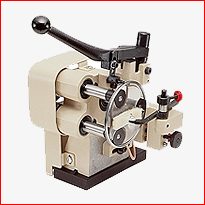 With new Flat Belt winding heads, Jovil is capable of winding the heaviest wire size through the smallest core. 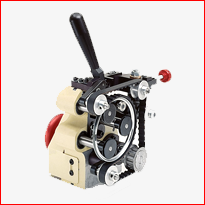 It is gear driven, has interchangeable magazines with removable sector to accommodate various tape width. 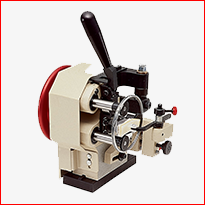 There is no requirement for changing of magazine drive pulleys for different size of the magazine. 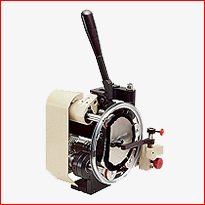 It is automatic tape cut off from the spool supply. 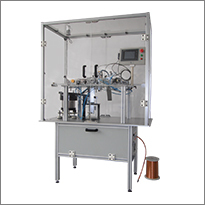 There is various speed controls for loading and wrapping. 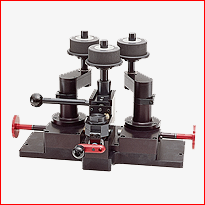 It comes in different size to handle different core (maximum OD, minimum OD and core height). 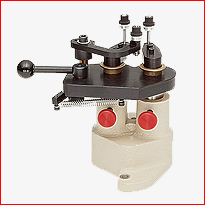 It is 3 point focus to adjust the coil to the desired positions before you secure and lock it to prevent it from moving. 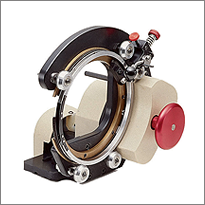 The core is able to rotate in bi directions as per customer requirements for the winding of the cores.